This is the first in a series of 10 strips. It is a dialog between a son and his parents. Some of you may think that this is a transcript from a real discussion, but I assure you that it is not. Have you ever had a problem starting a conversation? 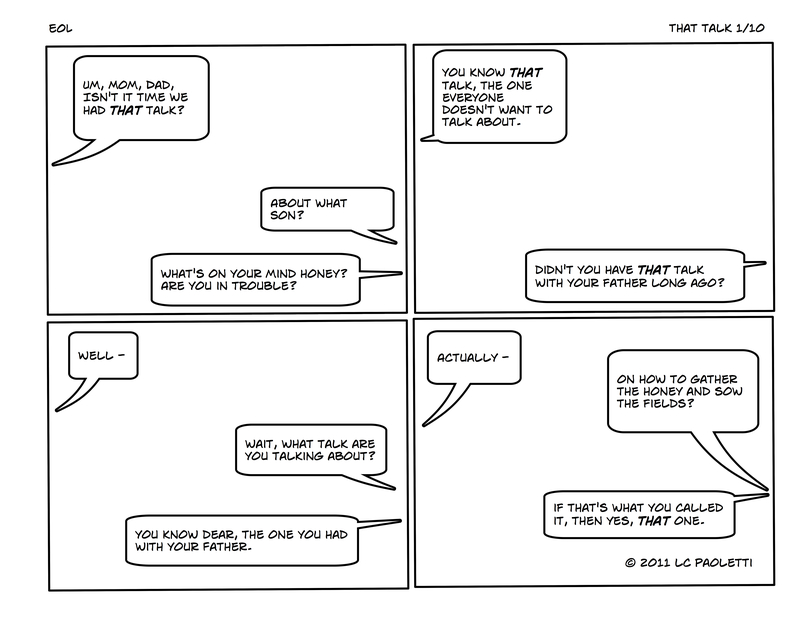 This entry was posted in That talk (series) and tagged communication, parents, talk. Bookmark the permalink.